Time for some Christmas music! 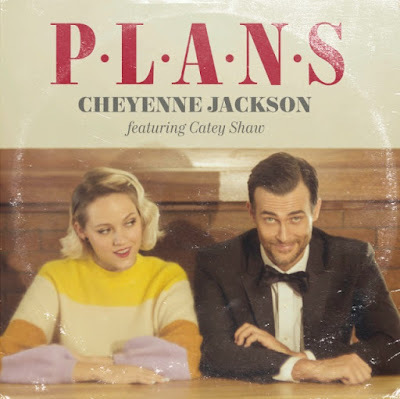 Actor and singer/songwriter, Cheyenne Jackson, has released a new holiday song, Plans, featuring Catey Shaw. Produced by Jay Levine and Richard Gottehrer (Blondie, The Go-Go's, Richard Hell), Plans draws inspiration from holiday classics while maintaining a modern flair. This is such an upbeat, feel-good song that will get you in a Holiday spirit in no time! Their vocals fit perfectly together and it's just a sweet song. Stream it below! I love this song because it feels like such a fresh throwback to classic holiday songs. I dig the simplicity of the theme, the retro vibe, and I love any chance to collaborate with the magical Catey Shaw.